Preheat the oven to 350°F (190°C). 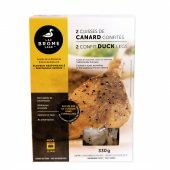 Remove the meat from the duck legs and shred with your fingers. Put in a bowl and set aside. Place a tortilla in the middle of an oven-safe, flat-bottomed, glass pie plate, 6 to 7 inches in diameter. Press the tortilla gently into place with your fingers, so that it the tortilla takes the shape of a bowl. Cook for 12 to 15 minutes in the oven to set its shape. Keep an eye on it during cooking so that it does not brown too much. Do the same with the other 3 to 5 tortillas. In large salad bowl, combine the endive leaves, shredded lettuce leaves and mint leaves. Season with salt and pepper to taste, then add the avocado cubes with lime juice. Drizzle with olive oil and mix. 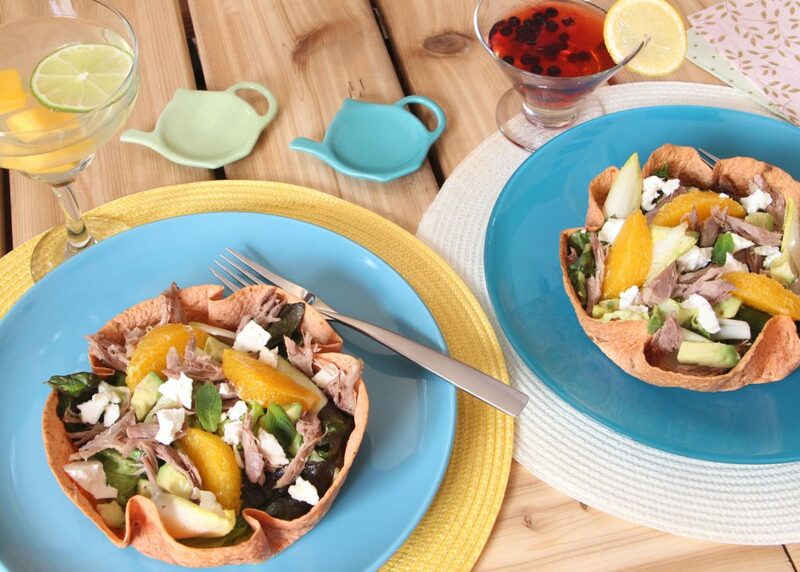 Divide the salad into the 4 to 6 tortilla bowls and top with a serving of duck confit (preferably preheated for 30 to 60 seconds in the microwave), orange supremes and feta cheese. Serve immediately. Of course, encourage your guests to eat their bowl!